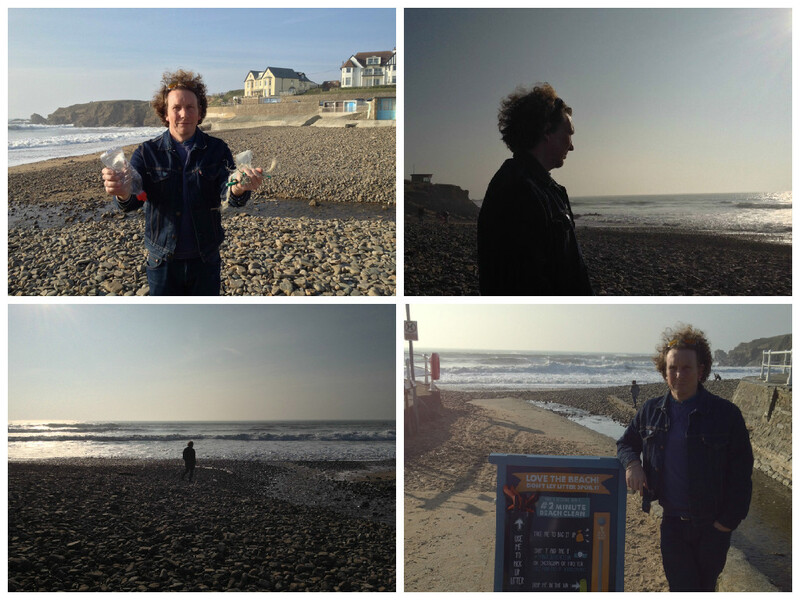 I met with One Man and his Campervan star and writer Martin Dorey at Rosie’s Cafe in Crooklets, Bude. Martin bought along his daughter, and the whole interview was very relaxed, which is how I based my feature. I wrote my feaure with a chatty, relaxed lifestyle magazine feel that suits Martin’s lifstyle and what he does on TV and in his books. Through out the interview, I asked Martin a series of questions including his background, how he got started, his favourite recipes and his favourite places to travel to which I’d hope would give my feature a personal touch and help the readers get to know Martin. I also asked Martin questions based on his BBC2 TV show. I wanted to find out how Martin came about getting a TV show and if the show turned out how he wanted it to, and how much control and planning he had over it. This would give the feature a more serious side, and give the readers insight into what having your own TV is like. After the interview we went outside onto the beach to take some photos. It was a very bright, sunny day and the photos came out not as well as I wanted them to be. Being a keen photographer myself I am a little disappointed with the quality of the photos, but the subject of the photos were good and suited the feature style. Below are the unedited images that I took at the beach with Martin, and as I said, they are not to the standard that I would usually take photos. I took these on my iphone as I didn’t have a canon available. The images are well positioned however there was lighting issues as it was a very bright day. I would personally pick the side profile shot of Martin for a front cover as it has style and there is the cliff backdrop.